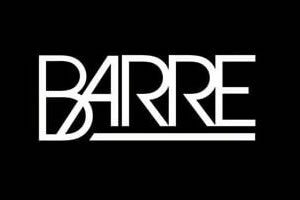 We offer a variety of fitness classes including Les Mills programs, as well as Zumba, Yoga, Pound, and Barre. In addition, our Functional Fitness class will appeal to those who are just starting out in fitness, prefer a lower intensity, or need a “bridge” to a higher level. We periodically add new classes to the schedule based on popularity and fitness trends. This ballet-inspired fitness class mixes elements of Pilates, dance, Yoga, and functional training to generate optimal results. Targeting core muscle groups, you’ll use the barre with optional small hand weights to sculpt, tone, and stretch your entire body. The super-controlled isometric movements are incredibly effective in transforming and chiseling problem areas. No experience is required and there are modifications for every age and fitness level. Try it for a few weeks and you’ll notice greater range of motion, increased flexibility, better balance, and improved overall strength. Great bodies are rarely born, but rather transformed. Bodypump is one of the world’s fastest ways to get in shape as it challenges ALL of your major muscle groups. This barbell class will sculpt, tone, and strengthen your entire body, while you squat, press, lift, and curl. Focusing on low weight loads and high repetition movements, you’ll burn fat, gain strength, and quickly produce lean body muscle. Combine this with enthusiastic instructors and chart-topping music and you’ve got a recipe for success. Want to feel more alive, liberated, and energized? This class uses a height-adjustable step so you can choose the level of your workout. Your instructor will lead you through simple movements on, over, and around the step, to achieve ultimate results in cardio, muscle conditioning, and coordination. Motivating sing-along music will keep you inspired as you push your body into high gear for the best fat burning effect. Boost your cardio fitness with this powerful high energy fitness class. 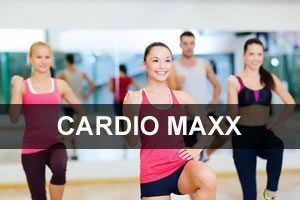 Using various drills and techniques you will improve heart function, strengthen muscles, increase bone density, and alleviate stress. Each workout can be scaled to your specific fitness needs, intensifying movements as you become stronger. This class will jumpstart your metabolism and you will burn calories faster, better, and long after your workout is over. Zumba is a Latin inspired aerobic dance workout developed by Alberto “Beto” Perez. Created in Colombia, Perez brought these stimulating saucy classes to the USA in 2001. Using a variety of music from mambo to salsa, reggae to calypso, the exotic rhythm beckons you to join in. This fitness class involves dance and aerobic elements set to high-energy music, moving you to a new fitness level. Participants claim increased energy, agility, and toning, as well as having a ton of fun while working out. Your core is a complex series of muscles that has three dimensional depth and function. It is your center of gravity where all body movements begin and balance is maintained. In this class you work your pelvis, hips, lower back and abs to increase strength and stability. A strong stable core will help protect the spine, improve balance and posture, and stabilize your center of movement and motor control. This class is based on one of the newest fitness trends that enhances, strengthens, and restores movement. Basic low impact cardio, strength training, and stretching will prepare your body to handle real-life occurrences. By targeting core stability and balance, functional fitness prepares your body to perform in a variety of common situations. The key is activating smaller stabilizing muscles not used in other forms of exercise. Also, emphasis is placed on working several areas of the body at once, rather than isolating a particular muscle or group of muscles. Whether you’re 18 or 80, new to fitness classes or a seasoned participant, this class will improve your current fitness level. In this class, you will perform various exercises with quick, intense bursts, followed by short recovery periods. 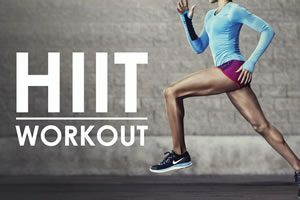 HIIT is a very efficient form of exercise and can be completed in a shorter amount of time than other classes or workouts. In addition, you will burn calories faster, better, and longer after your workout is over. Each workout can be scaled to your specific fitness needs, intensifying movements as you become stronger. The class finishes with stretching and transition from a state of exertion to a state of rest. This class will unleash the power within and challenge all muscle groups to change the shape of your body. Add definition, increase bone density, and improve endurance as you work toward building strength. By using low weight loads with high repetitions, you’ll burn fat, sculpt, and tone while quickly producing lean body muscle. Research has proven increased muscle helps boost metabolism and burns calories more efficiently. 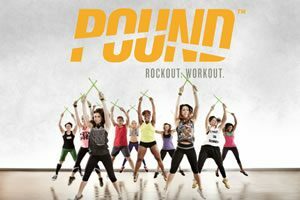 Using lightly weighted drumsticks, POUND is engineered specifically for exercising. Created by two female drummers, this fitness class combines cardio, conditioning, and strength training with Yoga and Pilates-inspired movements. 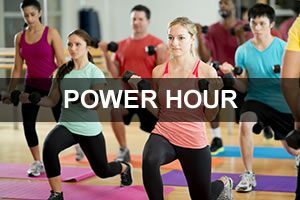 An exhilarating full-body workout that appeals to men and women of all ages and abilities, POUND can be modified to your fitness level. Not only will you increase your physical fitness, you will improve your focus, which increases your level of thinking and decision making skills. The routines are simple to follow and you will have fun banging the floor with a pair of neon green drumsticks while torching up to 900 calories. “YOGA” originated in ancient India and dates back thousands of years. The word “YOGA” means ‘union’… referring to mind, body, and spirit. This class uses different movements, breathing exercises, relaxation, and meditation to obtain the ultimate balance between mind and body. Also called “poses” or “postures,” the Yoga movements allow you to work the entire body. Practicing physical discipline, Yoga helps relieve stress, calms the mind, stretches muscles, and increases flexibility. Dance, Pilates and Yoga inspired, this 30 minute class is designed to lengthen and strengthen muscles, as well as increase flexibility and range of motion. Connecting mind and body to boost awareness, you will achieve a deeper stretch, release accumulated stress and allow better relaxation. Side benefits may include better posture and improved balance. This class is perfect paired with any cardio or strength class, but can be added alone to your weekly regime. Stop counting reps and start training to the beat! 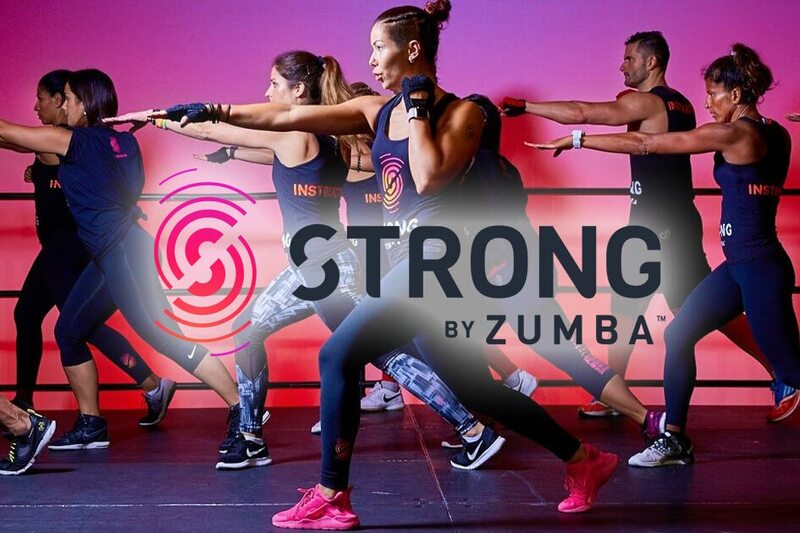 STRONG by Zumba is a high intensity conditioning-style exercise formulated to give you a full body workout. STRONG combines body weight, muscle conditioning, cardio and plyometrics synced to music specifically designed for every single move. Explosive moves like high knees, burpees, and jumping jacks are interchanged with isometric moves like lunges, squats, and kickboxing. This class will get your heart pumping, inspire focus, and motivate you to push harder and do just one more rep.